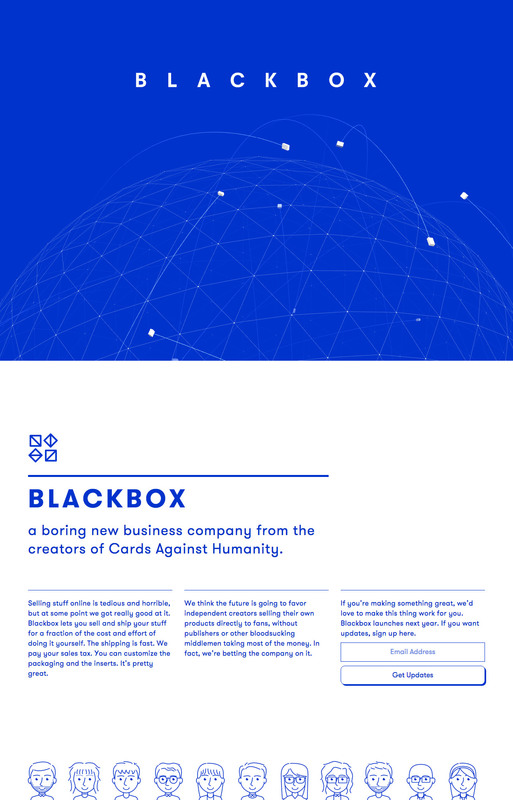 Launching soon page for ‘Blackbox’ – a new startup from the creators of Cards Against Humanity. The One Pager features an animated low poly wireframe of a sphere. The 3D effect is achieved with canvas and three.js. Selling stuff online is tedious and horrible, but at some point we got really good at it. Blackbox lets you sell and ship your stuff for a fraction of the cost and effort of doing it yourself. The shipping is fast. We pay your sales tax. You can customize the packaging and the inserts. It’s pretty great.